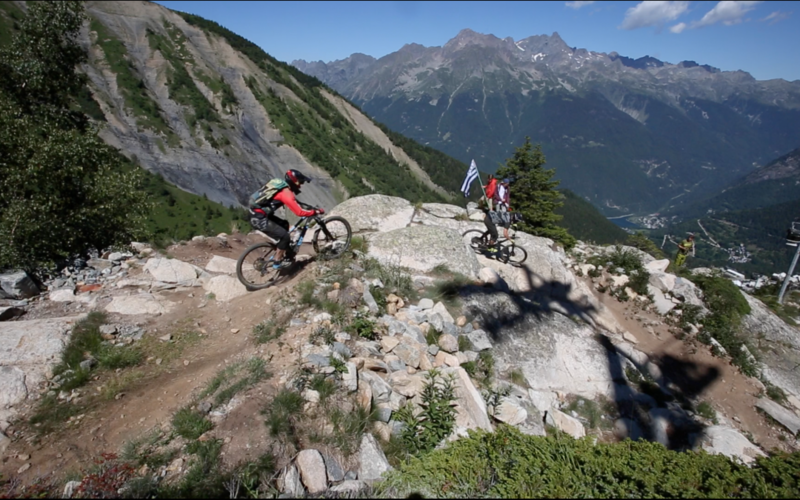 For the 22nd edition of the Megavalanche, Oz en Oisans’s resort was back in the competition program today, with an Enduro on trails selected to represent what we can find on this part of the Grandes Rousse Domain. More than 200 riders had confirmed their registration for this day of Enduro competition, which was offering, in a high tech sports context, all the conviviality and the relaxation specific to the liaison stages which link the timed Specials. 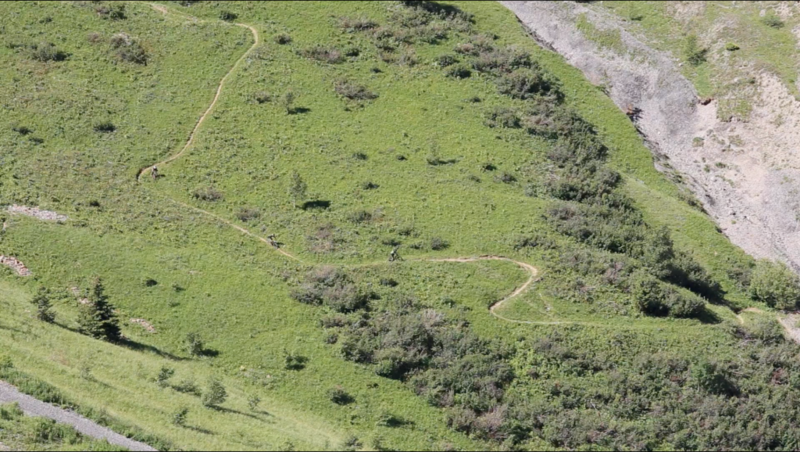 The weather was especially conductive to spend a beautiful day on this 3 stages, each with their strong character, starting from downhill false flat single track to hiking trail in the forest, going through a pure downhill during Special 2, and then the improvisation with a choice of paths in a freeride space in outdoor. Ireland take the the biggest part of the cake by winning the top two places of the general ranking. 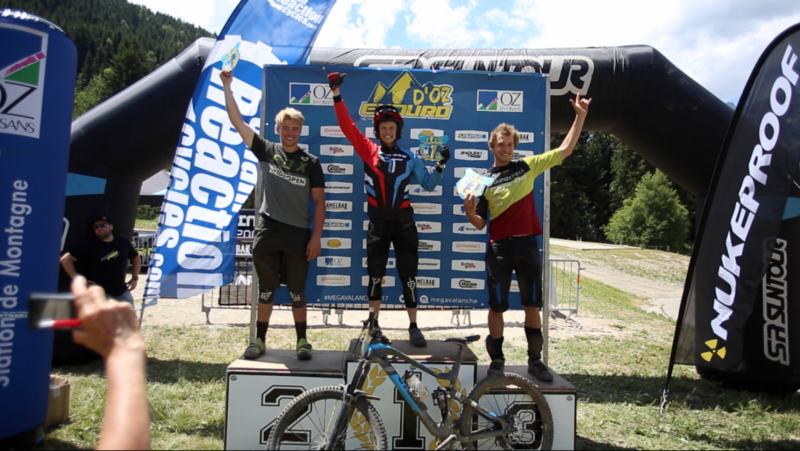 After almost 20 minutes of racing, Grant Kelan (Nukeproof) fails to only one second of Nathan Mc Comb (Chain Reaction Nukeproof) the winner of the day. The New Zealander Samuel Shawn (Zerode) go on the podium, following by the Englishman Jono Jones (Pink Bike) which concedes about 1 minute on the leaders. The Spanish Anthony Benat (Cycla Bike) complete the podium at the 5th place. In the women ranking, an outstanding victory for Israel which enter the Megavalanche palmares for its first time! Noram Korem wins behind the French Enduro star Nadine Sapin (Scott), who also fails to the first place because of a few seconds. The Scandinavian Kristien Nelen takes the last step of the podium. The Englishman Zac Hubery was the best of his Master 40 category with a notable 12th position at the global ranking. Undoubtedly, this names will be found again in the very next days on the winner list with the Megavalanche qualifications on Friday and the race during the whole weekend, during which 2000 riders will compete, in every group of level and in every categories.